In this post i will explain the steps we need to follow to upgrade classic mode SharePoint 2010 web application to claims mode 2013 web application. This is not the only available approach. There are many ways to do achieve that, but this is the one which worked without any hassles for me. 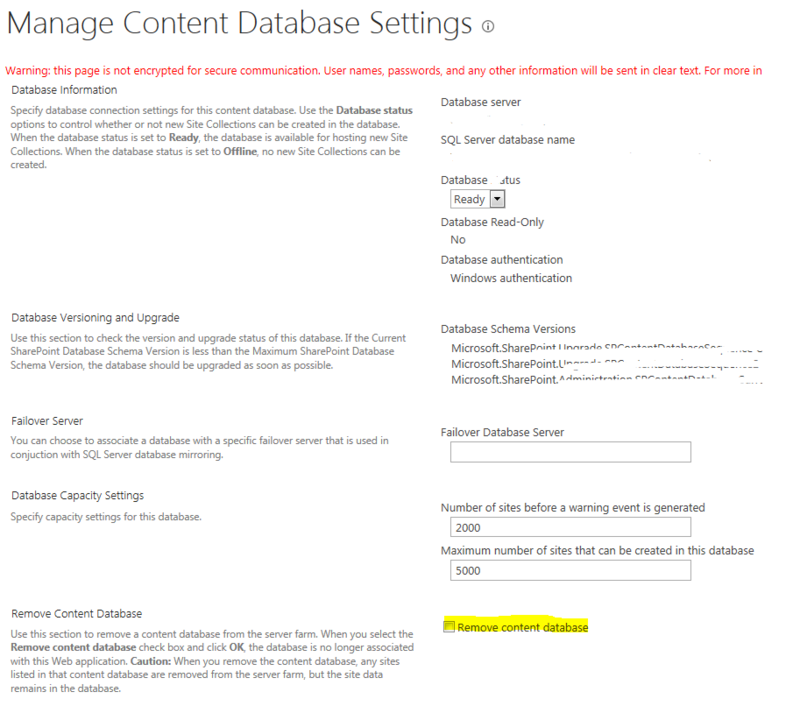 Step 1: Backup and restore (or Detach and attach) content database of classic mode 2010 web application in SharePoint 2013 SQL database instance. Step 2: Create a Classic mode web application in SharePoint 2013. Assuming that you have already setup a functional SharePoint 2013 farm. You get the following warning message before Classic mode web application is created. You can do this directly through UI or Powershell. Doing it through PowerShell is the cleanest way because it removes the database also from backend database. You need to be extra cautious here, once deleted database cannot be retrieved. Browse to Central Admin -> Application Management -> Select Manage content databases under Databases -> Select the newly created web application using drop down (Careful here!) -> Make sure you selected the correct web application -> Select the content database -> Check the box which says ‘Remove content database. Through UI the database association with Web application is removed, but not the database. It still exists in backend SQL server. you can get the GUID of database by using Get-SPContentDatabase which lists all the content databases. Review the output and fix any issues. This converts the web application back to Claims. You may need to visit every site collection and upgrade them manually or let site collection admins to that task.